We first met Superstition Meadery back at the start of 2016, and took an instant liking to the beer and the folks behind it. So, we were delighted to hear they would be attending MMBC for the third time. We first met Superstition Meadery back at the start of 2016, and took an instant liking to the beer and the folks behind it. So, we were delighted to hear they would be attending MMBC for the third time, and even more so to learn that they’d had such a busy and successful 12 months making mead, brewing collaborations, moving into new markets and building a new production facility. 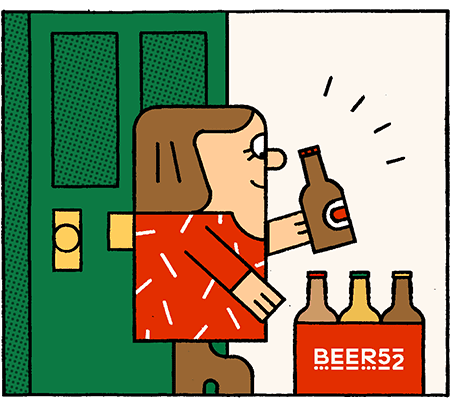 Mikkeller has a track record of supporting and promoting the mead industry in general, and Superstition products are served at the brewery’s bars in Copenhagen, Aarhus, Tokyo, Taipei and Bangkok. It was also the focus of the first Mikkeller San Diego ticketed event; a mead and beer pairing, hosted by Jeff and Mikkeller’s Daniel Cady. ”One of our highlights of the past year was working with Jakob Rasmussen of Mikkeller Bangkok, and Dan Bark of its restaurant, to offer the first mead and food pairing event ever held in Asia, on January 3, 2017. The resulting menu and mind blowing pairings of mead and hard cider set a bar that will be hard to raise,” says Jeff. US laws prevent Superstition from using cereal grains in its meads, so one of Jeff’s favourite activities is travelling to breweries in order to make braggots; either a style of mead with cereal grains, or a style of beer with about 20-50% honey, depending on your perspective. From a double IPA sloe berry braggot at War Pigs, to a bourbon barrel aged marion berry braggot at Bottle Logic, or an imperial stout with dates, vanilla, coffee and honey at Abnormal, Superstition has been working with its brewing friends to create new flavours everywhere it goes. Mikkeller San Diego is even aging Blueberry Shuffle in a Blue Berry White barrel; a Superstition mead that won a Gold medal at the world’s largest commercial mead competition, the Mazer Cup International in March 2017. ”When we come to a festival like MBCC, we want to show the most distinguished craft beverage connoisseurs in the world what we are most proud of,” continues Jeff. For the festival’s yellow session, Superstition is serving Coffee Marion and Grand CuvŽe. For the former, the meadery aged its most popular product, Marion, on Mostra coffee, while Grand CuvŽe is a one-off special blend of the four meads from its 2016 White Series. For the festival’s blue session, Jeff and co are pouring Invisible Smile and Blueberry Spaceship Box. Invisible Smile is a peach cyser made with organic Arizona apple cider and Arizona honey, aged on Masumoto Suncrest peaches frozen using liquid nitrogen. Blueberry Spaceship Box is a delicious blueberry-apple cider, and the top-rated cider. The red session will see Marion, a semi-sweet gold medal winning mead made with three berries, and the outrageous Peanut butter Jelly Crime. PBJC is ‘a peanut butter and jelly sandwich in a glass’. Finally the green session will see the pairing of two special products: FO Grand Cru Berry and Wine Barrel Aged Pillars of Creation. To craft FO Grand Cru Berry, Superstition took equal parts of its White Series (raspberry, blueberry, blackberry and strawberry, white chocolate, barrel aged sweet meads) and aged them in a barrel previously used for Bottle Logic Fundamental Observation imperial vanilla stout barrel. “We also took our tart cherry-apple cider, Pillars of Creation, and aged it in a cabernet wine barrel to bring this exquisite fruit cider to a new level. Neither of the green session products have ever been bottled, and we are honoured to offer them at MBCC 2017,” says Jeff.